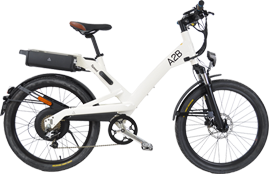 The best way to find out more about an A2B electric bike is to see, touch and ride one. Our friendly dealers can help you find the perfect model for your lifestyle, answer any questions and guide you through the benefits. 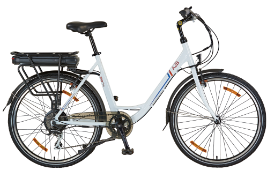 Experience for yourself the comfort and performance of an A2B electric bike with a no-obligation test ride. Ask your nearest dealer for more information. Would you like to try a bike before you buy? This A2B has rather a distinctive look. The s-pedelac pushes forcefully up to 45 km/h. Rated as the best value for money in class. Lots of punch for the money. For complete peace of mind, all A2B bikes come with a comprehensive warranty. Simply register your warranty upon purchase. Read independent reviews of the e-bikes in the A2B range from respected media around the world. Covering technical, performance and style to help you find the right bike for you.